SPW040318 SCOTLAND (1932). 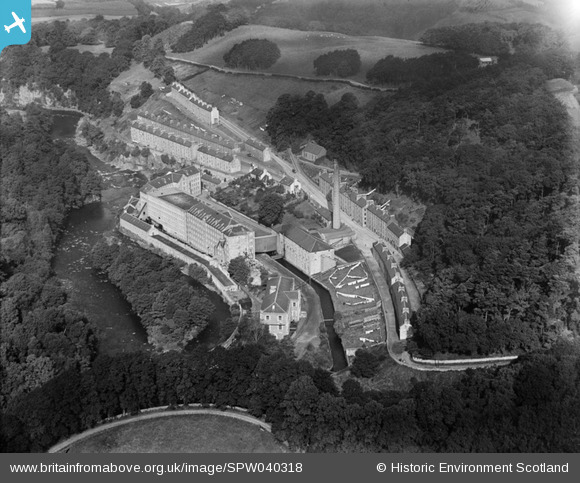 New Lanark, general view, showing Gourock Ropework Co. Ltd. Mills and New Lanark Road. An oblique aerial photograph taken facing north. Title [SPW040318] New Lanark, general view, showing Gourock Ropework Co. Ltd. Mills and New Lanark Road. An oblique aerial photograph taken facing north.